Established in the 1920s as the Musée Louis Finot, the Saigon National History Museum is in a building that typifies Indochinese architecture. One of many museums in Ho Chi Minh City, this site offers a range of artifacts from Vietnam’s long history, and is a great attraction on your sightseeing itinerary. If you are interested in the past of a country steeped in culture, we recommend a visit. Occupying an area of more than 2,000 square meters, the museum traces the history of the Vietnamese people. Displays are in two parts, the first part being an exhibition of Vietnamese history from its first settlement until 1930, when the Vietnamese Communist Party was established. The second part houses displays of cultural and ethnological significance, including aspects of the ancient Mekong Delta, Cham art and the cultural history of Vietnam’s many ethnic minority groups. 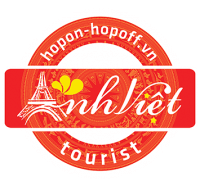 Display text is written in Vietnamese, English and French. Built in 1864 and completed in 1865, including many trees you planted in the country and the world, imported from India, Thailand, Laos, Cambodia … with many kinds of rare animals, so where this is also called the Saigon zoo. After more than 150 years of construction, the zoo has become one of the country’s largest zoo, the home for many rare orchids, ornamental plants, and over a hundred species of mammals, reptiles and birds. There are approximately 1,000 animals belonging to 125 head type; 1,800 plants belonging to 360 species of trees, 34 kinds of green grass on an area of ​​20 hectares, divided into several areas: the breeding animals, plants and orchids parks, amusement parks. As one of the oldest zoos in the world, the Saigon Zoo and Botanical Garden is famous not only with Vietnamese but also with foreign visitors. Saigon Zoo and Botanical Garden is a cultural place of Ho Chi Minh City. It was ranked eighth among the oldest zoos in the world.